Closest to the camera is a Super Starstream. Next to that an earlier J-range with the extension bolted under the pillion seat. 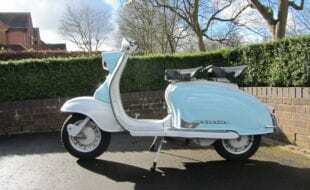 Produced as an affordable scooter for the younger market back in the 1960s, the Lambretta J-range today holds a similar position for those looking at buying their first Lambretta. This comes with a caveat however, that if you don’t know what you’re doing these scooters can also be a great money pit as well. 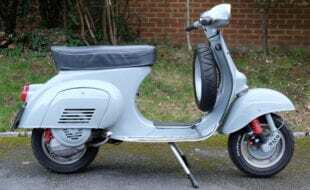 Innocenti designed the J50 in 1962 with the 14-year-old local market in mind, although the first scooter to be launched in the range was the three speed 98c Cento a couple of years later. This was followed by the three speed J125 and three speed J50. 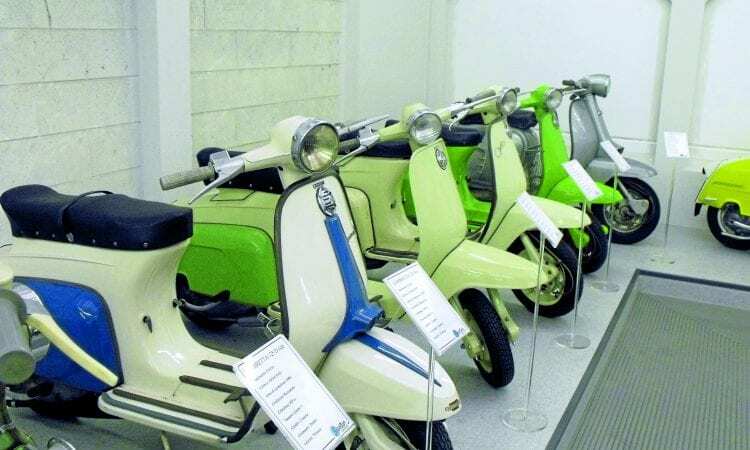 The J-range differed from the rest of the Lambretta range in that it was manufactured along the lines of a Vespa, utilising a press steel monocoque frame with integral legshields, rather than the usual panel work bolted on to a tubular spine. Unlike Piaggio however, Innocenti didn’t have too much experience with this method of constructing scooters and soon weaknesses were being discovered; namely frames giving way under extreme conditions. In late 1966 a redesigned J-range was launched by Innocenti with narrower legshields and a stronger frame. As broken frames were replaced under warranty, the registration date is not necessarily a definite way to identify models. Instead, visually, the easiest way to tell the two apart is that the first model J-ranges had a piece bolted on to the rear to accommodate the bench seat or pillion pad, while later J-range Lambrettas had a longer section of frame under the dual seat. Note that under normal use we’ve not heard of any early J-range frames bending or breaking these days —just don’t try racing down the steps outside your local cathedral on one! Early J50s featured 2.75 x 9 tyres, which are not so easy to come across these days. Later 50s, the Cento and 125 variants, had 3.00 x 10 tyres fitted. 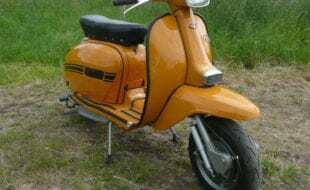 The J50 also went through minor cosmetic upgrades over the years in an (unsuccessful) attempt to dent the dominance of the Vespa in the 50cc market and eventually it featured clip on side panels and plastic parts on a par with the large frame Lambretta GP/dl models, ending with the J50 Special in 1971. After the frame upgrades and redesign of late 1966, the Cento was dropped due to poor sales, while the 125 motor was improved and a fourth gear added. This became known as the Starstream. At the end of its run a horncover and turning mudguard were added for some overseas models, named the Super Starstream. The J-range engines were, at a glance, similar to the Series 3 motors, but are in fact quite different. For a start they featured an upright barrel and, of course, everything is a little smaller. As a result you will need specific workshop tools for a J-range engine as very few large frame tools are useable on both. This includes basics like a clutch compressor, so keep that in mind. You also need to consider that a scooter that wasn’t too popular back in its heyday means that there are few spare parts kicking around today, however an ‘almost complete’ second-hand scooter may crop up for reasonable money. 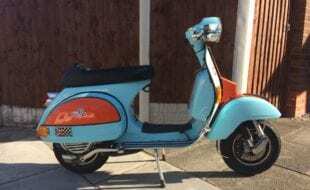 Companies such as Casa Lambretta and Tutto Lambretta are remaking some spares — mainly cosmetic – but the market is so small it’s not financially viable to reproduce much. The consumables are, of course, fairly easy to come by, but unique stuff like the separate damper and spring suspension system at the rear are hard to find and costly to replace, while any missing engine internals are likely to require a search for any remaining NOS parts that may still be in existence. 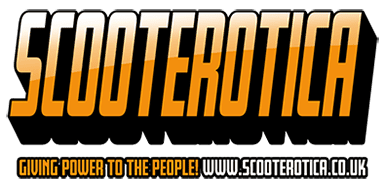 Due to the late J50 scooter and engines being sold to the Indian government along with the dl/GP Lambrettas, there are some SIL parts available from Scooter Restorations that will fit an Italian J-range. 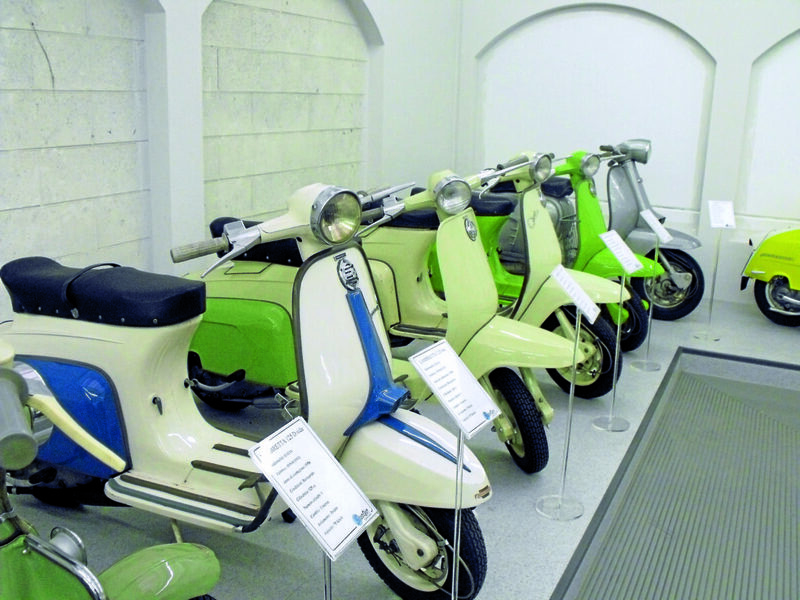 Other J-range friendly companies include Rimini Lambretta Centre, Jem Booth, Scooter Emporium and Scooter Surgery. 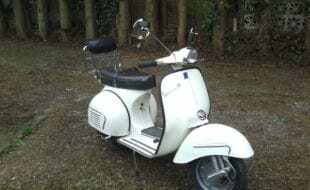 If you want to make a J-range go faster (and let’s be honest, even the four speed 125 is hardly earth shattering), there is a Casa Lambretta 75cc kit for the J50. Beyond that, however, you’ll either have to invest time and money with a local tuning expert or settle for taking life at a more leisurely pace. 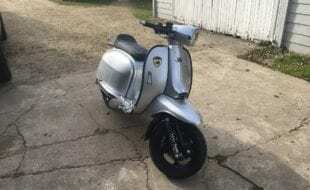 So overall the J-range scooter is a nice little Lambretta, but taking into account rarity of some parts and specialist tools required to rebuild them, they can cost a lot more to restore than their resale value will be. So you need to check out what’s missing and what work needs doing before buying a scooter… and bear in mind that somethings may take longer than you think to fix. 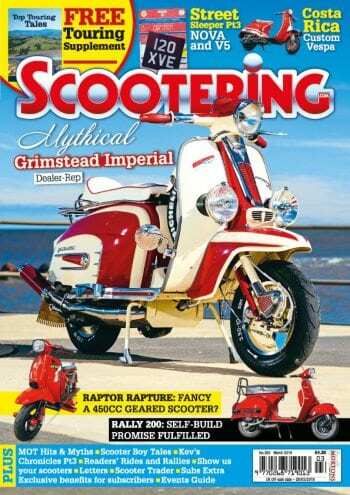 If you buy a J-range because you want a Lambretta to enjoy, then I wish you well. Buy it as an investment, however, and you’ll probably be disappointed.